At the top end of Montgomery County's extensive dining scene are restaurants that serve up the best dishes in the best settings accompanied by the best cocktails and desserts. Here's a look at Montco's most luxurious culinary experiences. 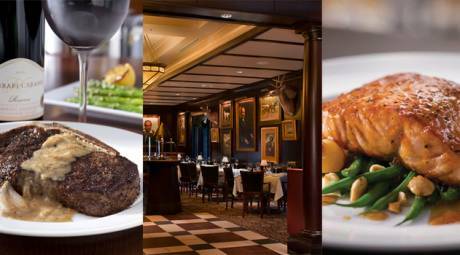 A meal at King of Prussia's The Capital Grille is a true occasion. From the swanky setting to the white-glove attentiveness of the wait staff (Matthew is terrific; as is Dana), the experience is five-star from start to finish. If you like a little techie-coolness factor with your meal, know that the wine list here is presented on an iPad. Since 1982, Creed&apos;s Seafood and Steak has made its name known for excellence in four basics: a great wine list, excellent service, a good bar and premium cuts of beef. 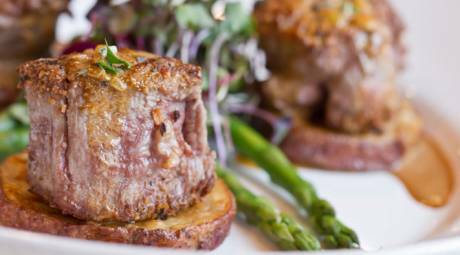 Find out why one of King of Prussia&apos;s most consistently reliable restaurants received a 2013 distinction as one of the best steakhouses in the area. The newest addition to King of Prussia's fine dining scene is familiar to Philadelphians. Though the new Davio's doesn't look like the unique 17th and Chestnut location, you can expect the same fine steaks, burgers and more. Executive Chef Jeffrey Power, who started his career as a Sous Chef/Saucier at Le Bec-Fin, composes dishes that focus on locally farmed, raised and produced ingredients - augmented by the restaurant's own organic garden. 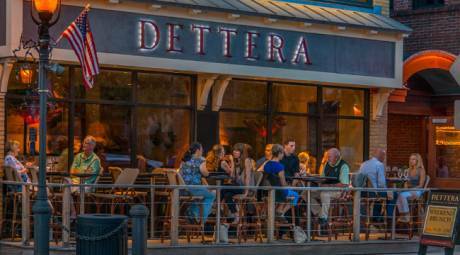 The first restaurant to open at the King of Prussia Town Center is a good one. 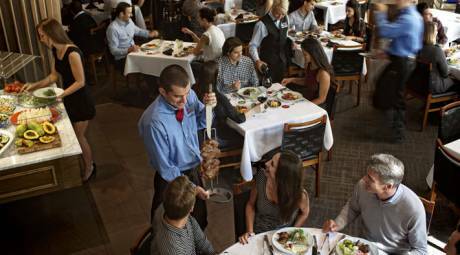 Fogo de Chão is not a place for a light meal; it's a carnivore's paradise with all-you-can-eat steaks, chops and more, delivered right to your table. Is there more traditional starter to a steakhouse meal than a wedge salad? Maybe not. 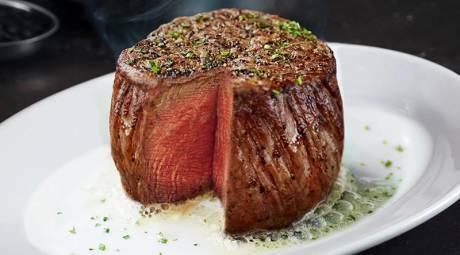 At Morton's the Steakhouse in King of Prussia, it's the perfect opener to a serving of rib-eye - or any of the other cuts, for that matter. The plush setting and expertise of the staff - both chefs and servers - make Morton's a great choice for a special birthday or anniversary. 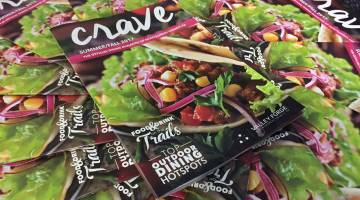 Flavorful, cooked to perfection and tender enough to be sliceable with the side of your fork. 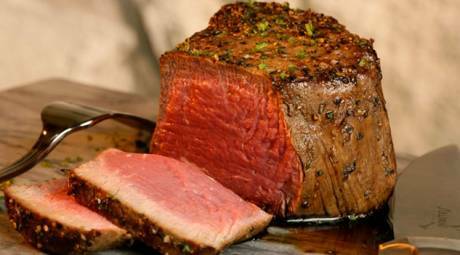 Those descriptions are just the start of assessing the filet mignon at Ruth's Chris Steak House in King of Prussia. Complete this centerpiece entrée with soup, a salad and a blended-to-perfection apple martini. At Sullivan&apos;s Steakhouse in King of Prussia, hombres will be hard pressed to find something more tempting than the 22-ounce cowboy cut bone-in rib-eye. Save room for dessert: The s&apos;mores mousse cake also features that open-range, cooked-over-a-campfire flavor. Blackfish opened in 2006 and was soon distinguished by Philadelphia Magazine in its 2011 "50 Best Restaurants" issue. Chef Chip Roman has established a rock-solid reputation by crafting a seafood-centric menu in the American style. 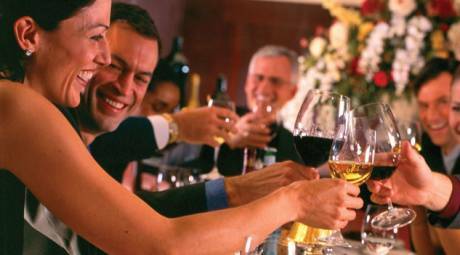 When it comes to international ambiance, Brasserie 73, is undoubtedly world class. Over and above the already notable collection of classic French entrees and daily additions of utmost taste, Brasserie 73's wine list is exceptional. The outdoor seating is incredibly romantic in spring and fall. Bridget's boasts not only a supreme menu for meat (and poultry... and fish) but also incredible convenience. It is one walkable block from the SEPTA Regional Rail station that routinely brings Philadelphians to Ambler for theater, shopping and of course, dining. The menu at Forcella provides elegant, simple, fresh, produce-driven seasonal fare. The four-course menu is a culinary journey through an ever-changing array of appetizers, small plates, entrees and desserts that are left to the chef's imagination and sweet tooth. There are only 28 seats in the dining room serving French-inspired American fare. The menu is highly focused and sourced according to what's in season, so this nook deserves repeat visits to continually discover what its kitchen artisans are serving up next. A full-bodied taste of Italy without ever leaving the Main Line is what greets diners as they enter Positano Ristorante. The pasta is homemade (of course), and the bolognaise bubbles all day long on the stove, all in the style of your favorite Italian gramma. The inspiration for the dishes at Restaurant Cerise comes from the travels of the Chef Ben Thomas and his wife Elena who sought to bring European-style dining to Bryn Mawr. A pre- and post-show menu makes for a great date night, with a meal and a movie at the nearby Bryn Mawr Film Institute. 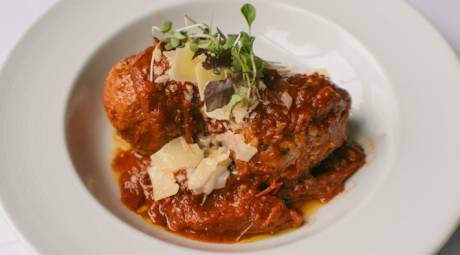 This high-end Italian standout succeeds in part because of its deep family roots; it was named for the restaurateurs' son, Marc. The inviting dining room occupies a former 19th century schoolhouse. Chef Scott Morozin started his career at the prestigious Culinary Institute of America at age 24. From there, his career has been on the ascendency, landing him at Sola, where he masterfully infuses American cuisine with a French flair. Menu options are an admirable balance of seafood and meat. This French BYOB has been wowing patrons since it opened in 1978. The menu is par excellence, offering a sumptuous dinner that can start with flan d'Escargots, move to ratatouille-stuffed quail and end with Montmorency, a dense, flourless chocolate cake paired with cherries.